Calvin Klein Men's Suit Just $104.99! Down From $650! PLUS FREE Shipping! You are here: Home / Instagram / Calvin Klein Men’s Suit Just $104.99! Down From $650! PLUS FREE Shipping! Calvin Klein Men’s Suit Just $104.99! Down From $650! PLUS FREE Shipping! 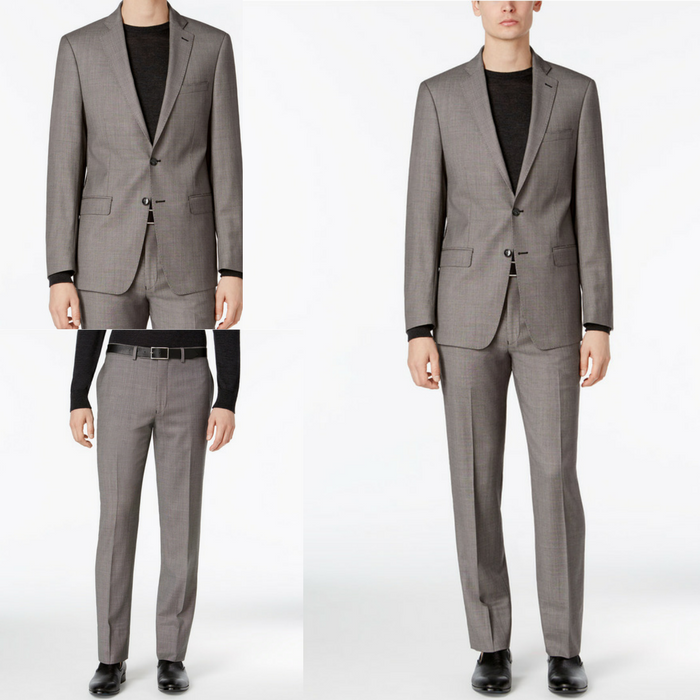 Check out this Calvin Klein Men’s Suit which is on sale at Macy’s for just $104.99 down from $650 when you use promo code FRIEND at checkout PLUS FREE shipping! Give your work-ready wardrobe a stylish upgrade with the contemporary extra-slim fit and timeless birdseye pattern of this luxe wool suit from Calvin Klein. This is great for a Christmas gift!